Potassium - 19K Your user agent does not support the HTML5 Audio element. 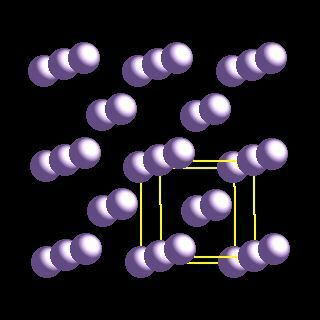 Potassium crystal structure image (ball and stick style). 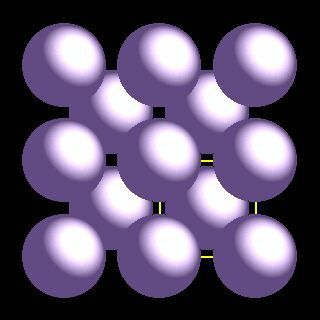 Potassium crystal structure image (space filling style). The closest K-K separation is 461 nm implying a potassium metallic radius of 231 nm. L.-G. Liu, J. Phys. Chem. Solids, 1986, 47, 1067.